So, I get this interesting e-mail this morning from someone who posted an ad on craigslist for a logo design project. 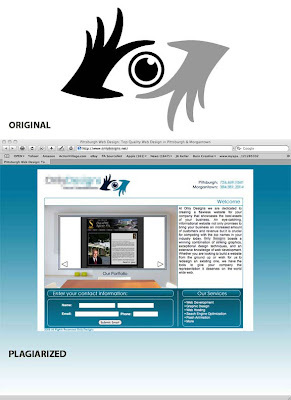 Apparently they also received a response from a company whose logo is suspiciously similar to one in my portfolio. I created this logo for PAK Photography about four years ago or so. They either lifted this logo from my site or maybe from some website where I've posted my work in the past. Either way you can see that they are identical designs. Although, they did use their superior creative skills to change the gray color to blue. You can also view the original as well as other logo and design work on my graphic design site www.burncreative.com.